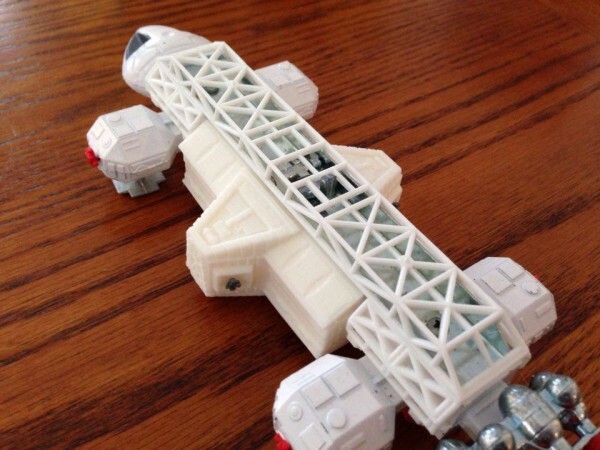 I have made some items for sale on Shapeways that pertain to Space:1999, the TV show. 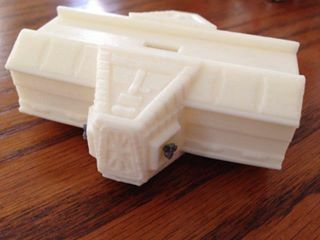 These include items I’ve blogged about before, mostly during development when the models were printed on my home printer. 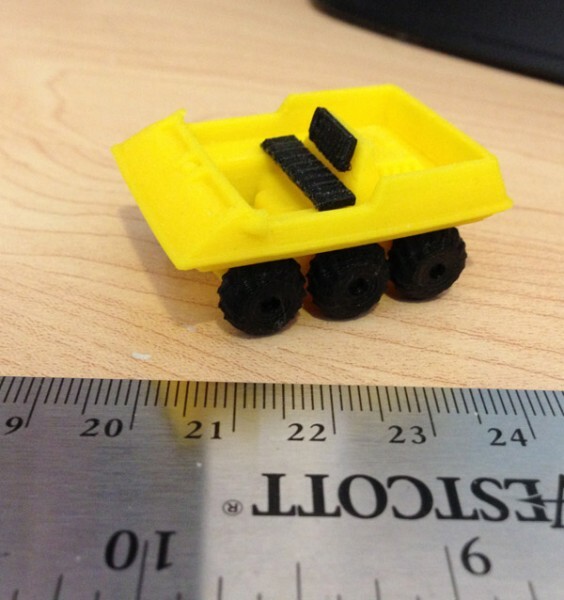 Those were ok, but the size (especially of the smaller scaled items) meant that my home printer’s integrity was nearing minimum – ie: It was nearing the smallest scale I could print well. 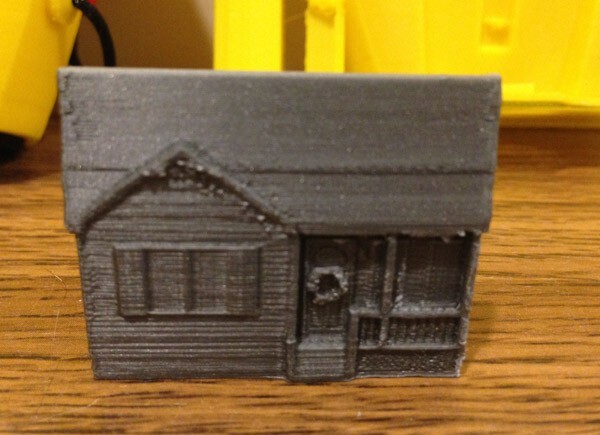 However, Shapeways can print at a higher resolution, and I found the results quite clean and presentable. The wonderful Dinky Eagles, produced in the 1970s, are revered by toy collectors and fans of the TV show. They came with one pod each, and Dinky made two versions: one with a passenger pod, and one with a freighter pod. The passenger pod was surprisingly accurate, though the freighter pod looked nothing like the pod used in the TV show. It was fun, however, and had a magnetic winch and four hazardous waste containers. But completely inaccurate. 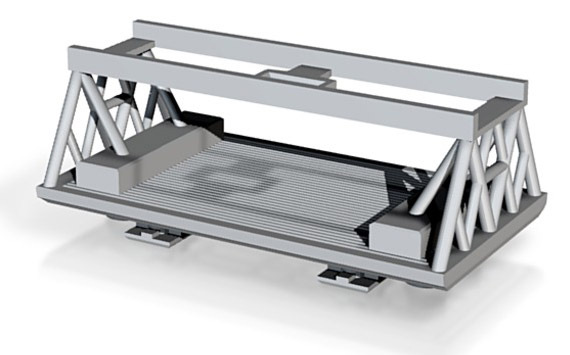 Here is the Dinky-scaled pod, which comes in two pieces: The pod itself, which is a flatbed pallet pod, but with a second part that is the winch. 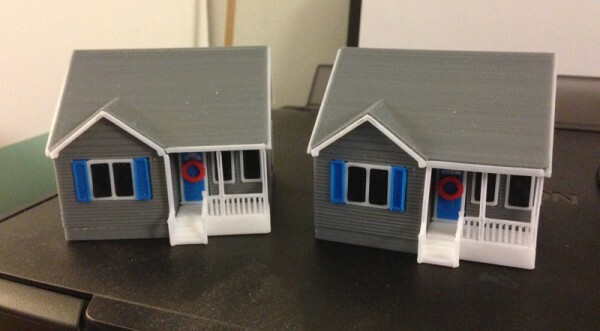 A little paint and you can have a very accurate model. 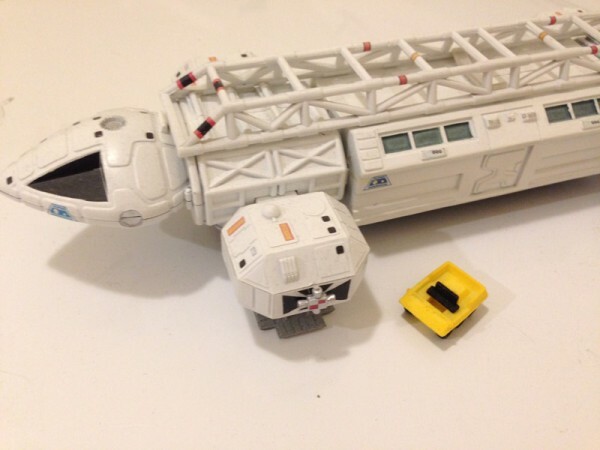 However, since the toy is not weathered, the pod works pretty well completely untouched. (Though it’s advisable to paint the underside legs and engine bells. You may notice the bars at the top. 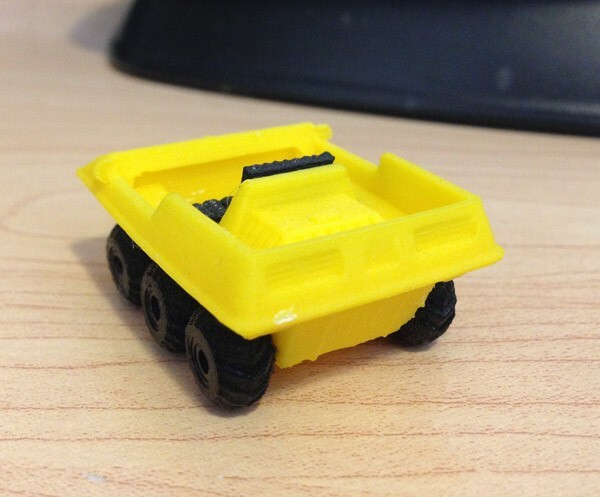 These do not exist on the real pod model, but for the Dinky to pick it up and drop it, those had to be added. And the mechanism feels great! Fits perfectly! 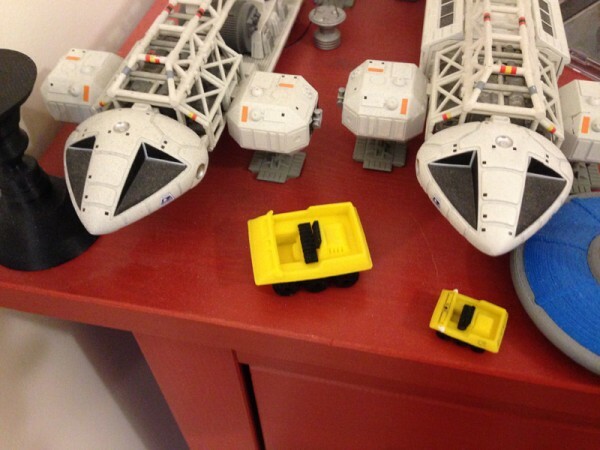 Here is my home-printed pallet pod with containers, next to the Konami version. This has been in demand. 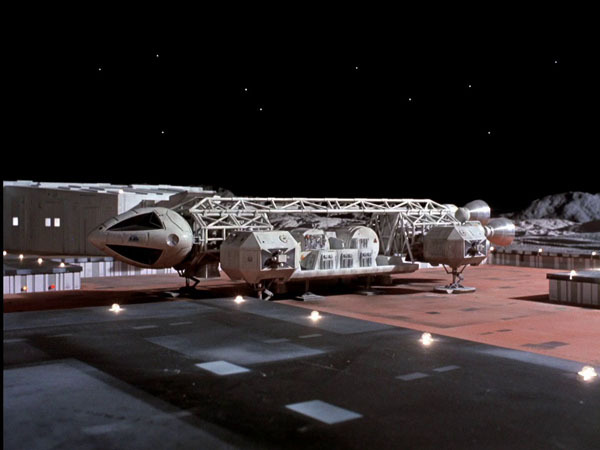 I have had a lot of people in Gerry Anderson or Space:1999 forums request this one. 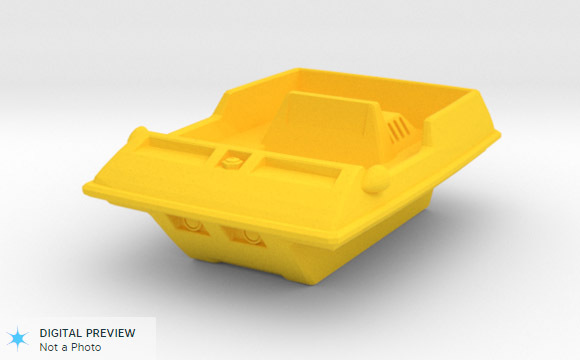 It’s now available on Shapeways. 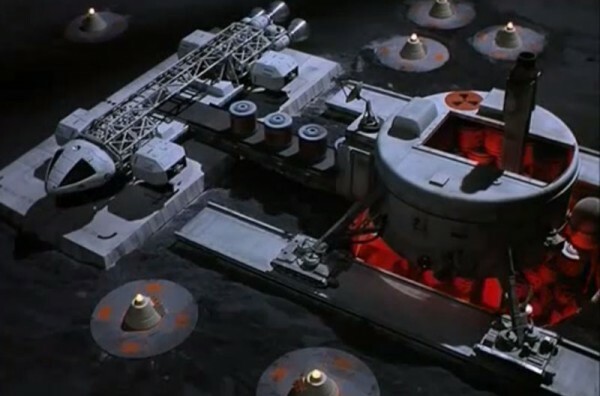 It’s the Laboratory pod, seen here in a highly accurate larger model. 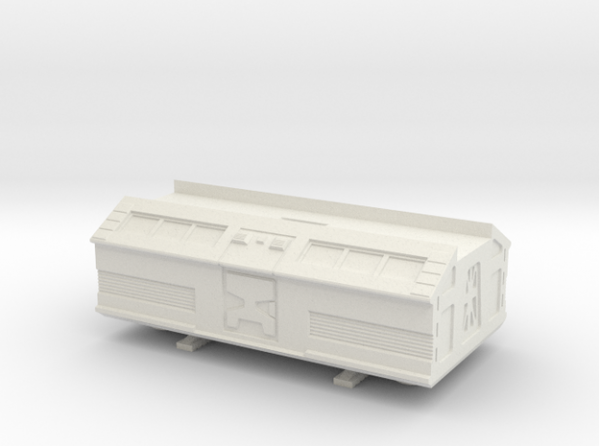 A companion piece for Laboratory Pods. 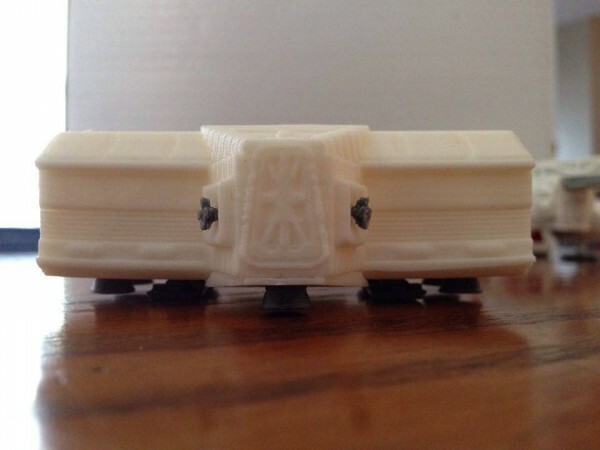 Sometimes people buy an Eagle incomplete, or they lost their original passenger pod. This is a vairly accurate pod that replaces the original. Fits perfectly, and is a bit more show-accurate than the original. I also made available decal sheets (which you can print on sticker paper or decal paper) that wrap around the barrels, and looks like this (this is a sub-section. The full sheet includes many more copies of the barrel decal and the Alpha symbol, and also contains the smaller Konami version. 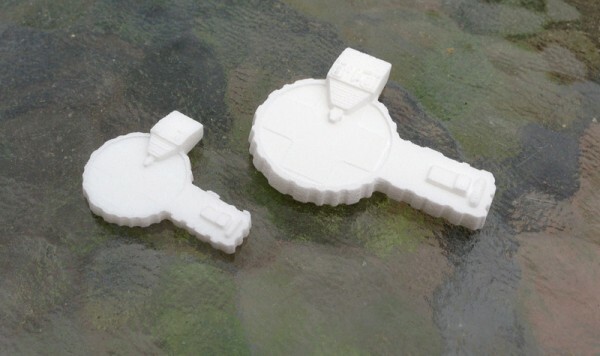 I also created Konami-scaled Eagle Pods, which are just over 4cm long. 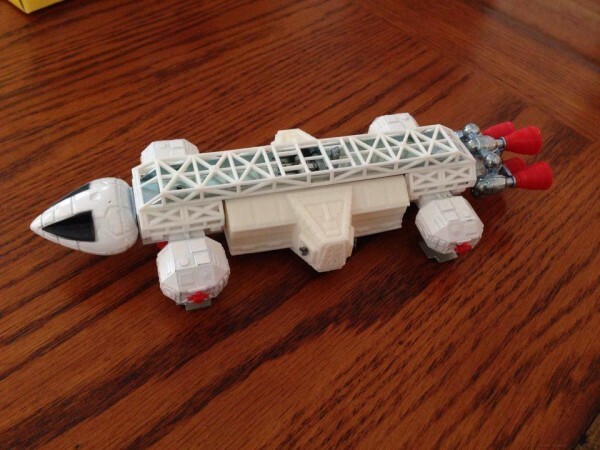 They fit nicely into the Konami Eagle, and do not need extra “stuff” on top of the pod to make it fit like the Dinky did. Here is a photo of one. I painted the winch barrels grey. You don’t have to. 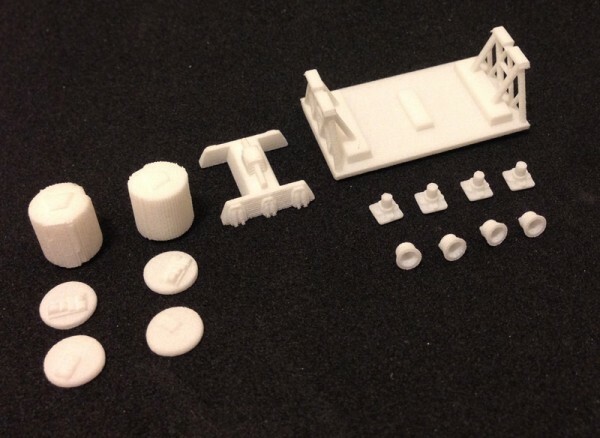 These two pods come as two different models, rather than a single pod, with add-ons. 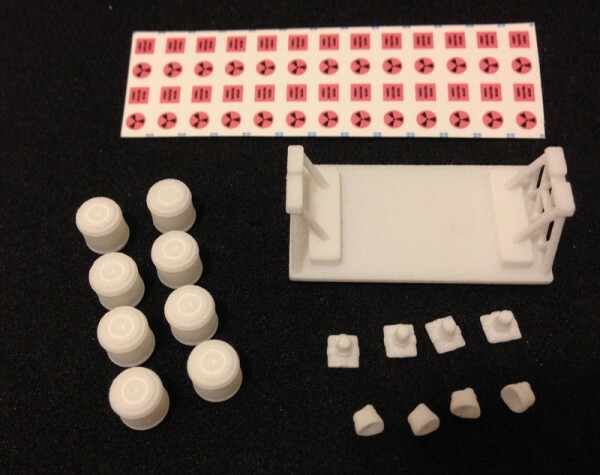 This is only because I made the Dinky version more efficient, and have not had time to convert the Konami pods. But this way, you don’t have to share the pod itself. 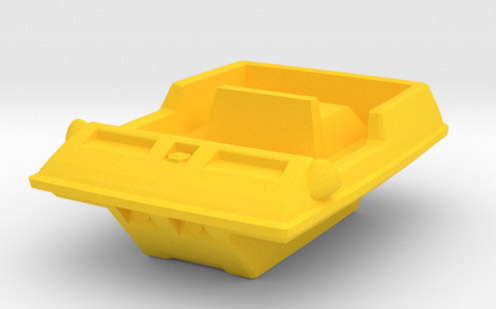 Get the whole kit for either the Winch or Pallet pods. 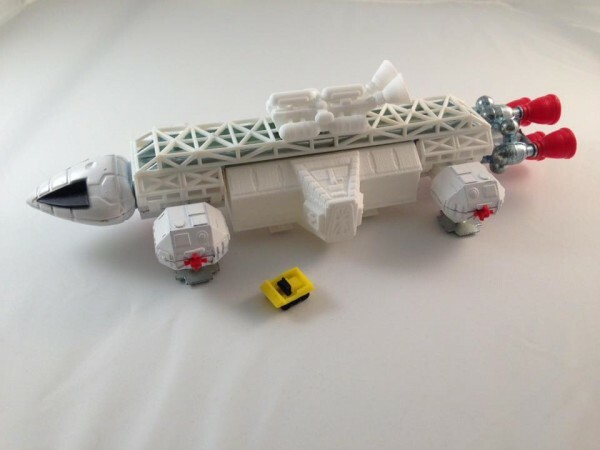 I won’t go into too much detail here, since I don’t have a lot of photos of these, but for now you can find links to my Moon Buggies on Shapeways, and see the few photos I do have. 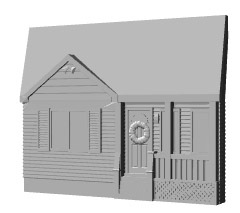 This version is scaled to the new 22″ Eagle model kit. Note: This one is far more accurate. I worked with an Amphicat enthusiast to fix some scaling and proportion issues, as well as adding a fair amount of more accurate detail. 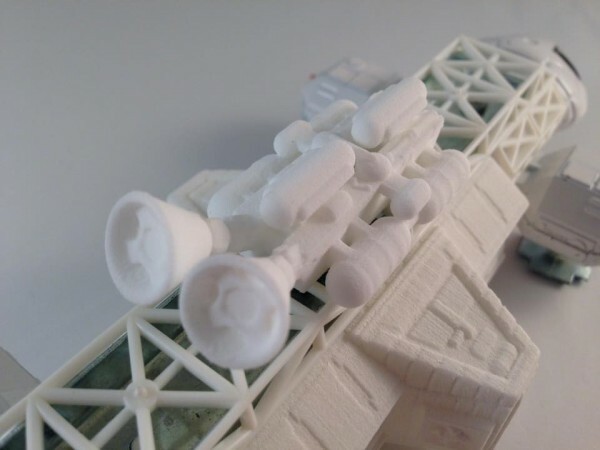 This one adds ridge detail at the back, the engine vents, engine bumps under the seats, even exhaust ports, more accurate dash, and a lot of other details you would not catch in the smaller ones. 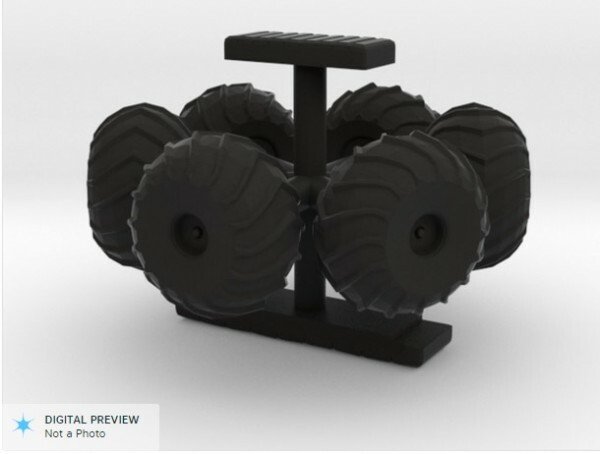 I also made the wheels more accurate. 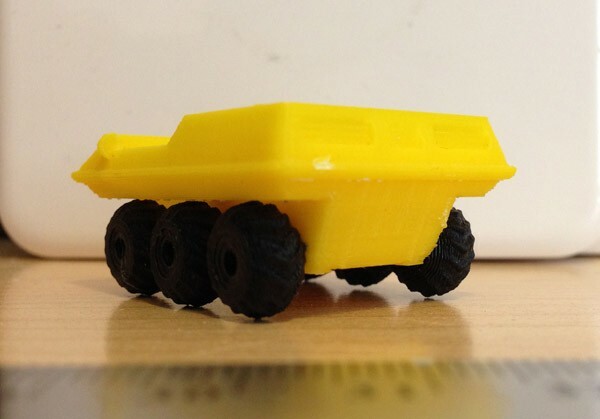 22 Inch Scaled Moon Buggy Body – Comes in yellow, so you don’t have to paint it. 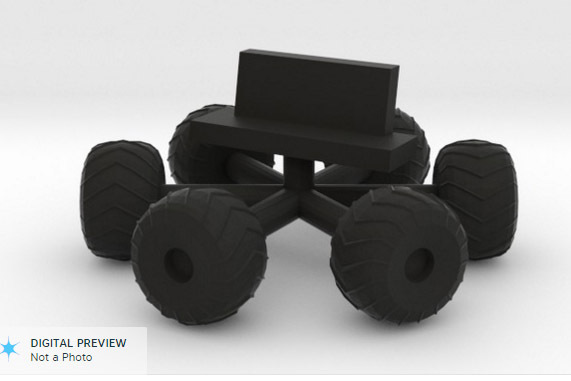 22 Inch Scaled Moon Buggy Seats and Wheels – Comes on a single sprue. Simply clip and glue. Comes in black, so you don’t have to paint it. I recommend going there and using the 360 degree preview (blue box in the image row). 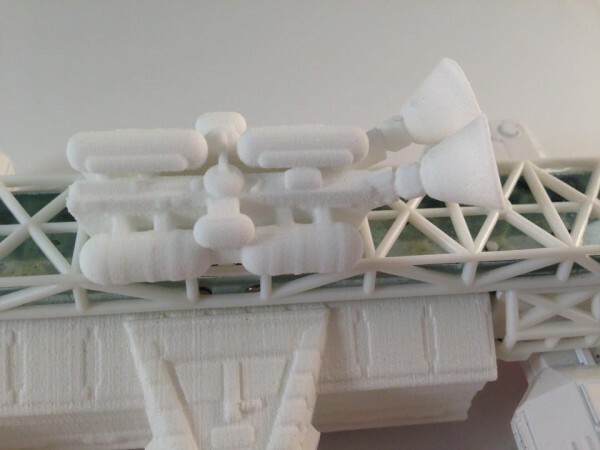 Here are some images of the same model, printed on my own home printer: Even this is pretty darned good, though the Shapeways resolution is higher. 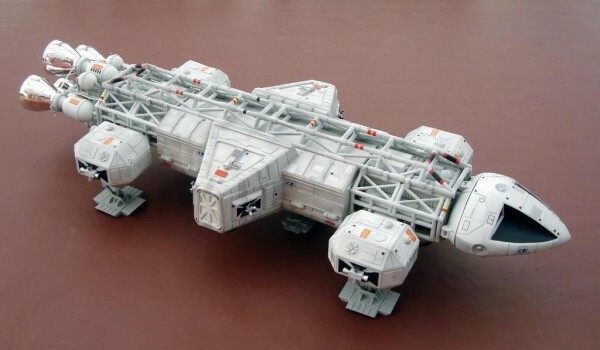 Here it is, pictured with two 12″ PE Eagles, alongside the 12″-scaled version. This version is scaled to go with the 12″ Eagles. 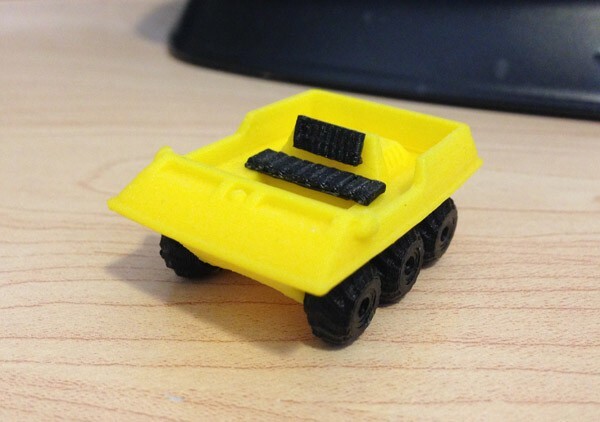 12″ Scaled Moon Buggy Body – Comes in yellow, so you don’t have to paint it. 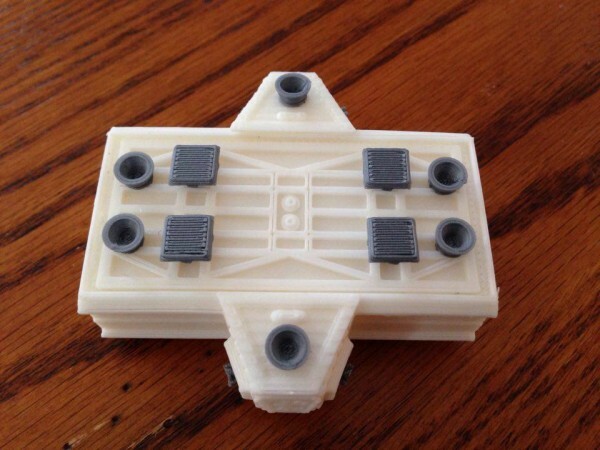 12″ Scaled Moon Buggy Seats and Wheels – Comes on a single sprue. Simply clip and glue. Comes in black, so you don’t have to paint it. 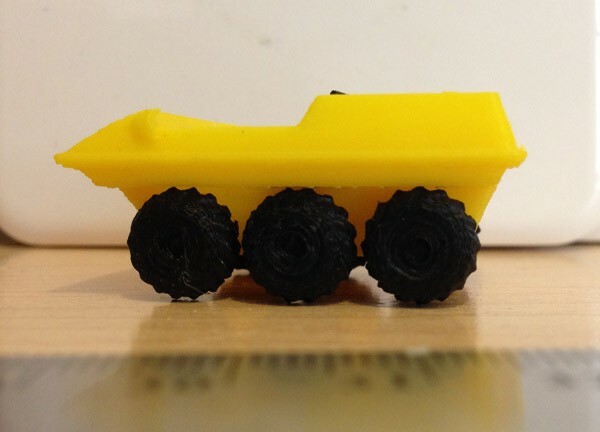 Dinky Scaled Moon Buggy Body – Comes in yellow, so you don’t have to paint it. 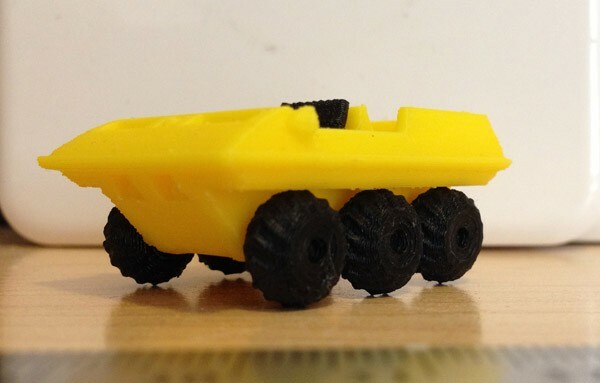 Dinky Scaled Moon Buggy Seats And Wheels – Comes on a single sprue. Simply clip and glue. Comes in black, so you don’t have to paint it. Easier to paint this way. 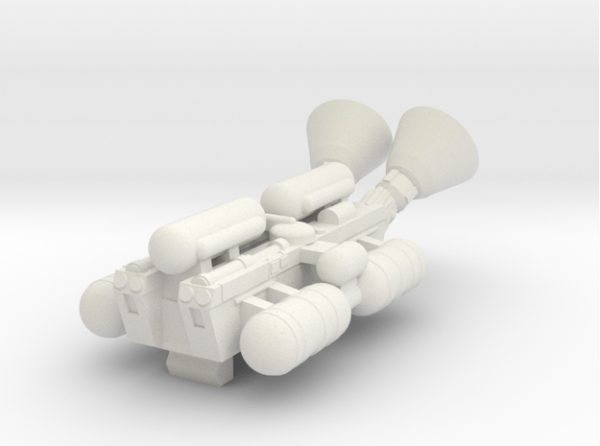 Also, the guns themselves can be printed in silver. Some painting will be required to add the colored details. 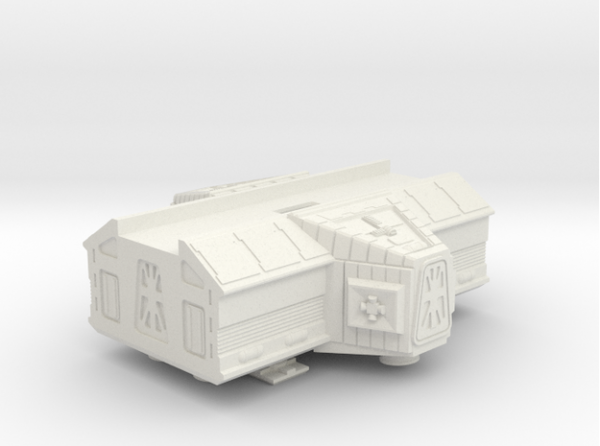 I show one here that I left in white, as a proposed Commander’s Special, or VIP Special version. 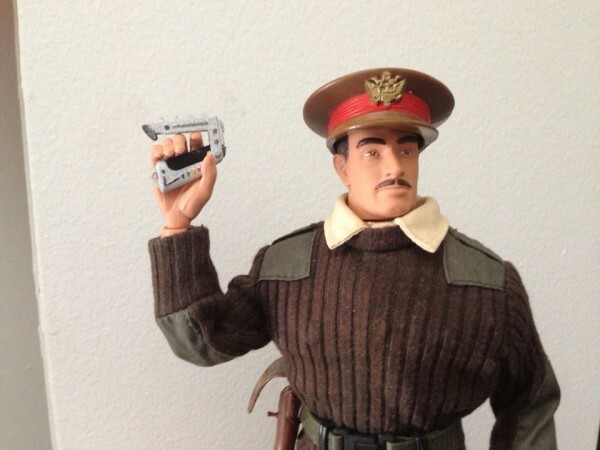 The wonderful 3″ Eagle made by Mattell in the 1970s came with figures and scaled hand-weapons. People often lost these. 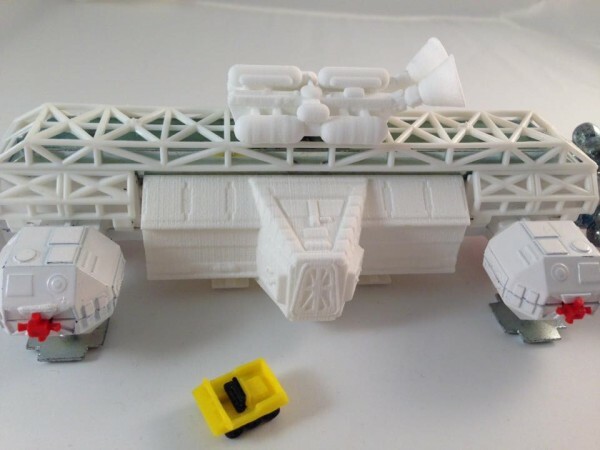 This is an awfully small size to print, so detail is a bit less than perfect, but if you want replacements for your lost Mattell Eagles, these aren’t bad. 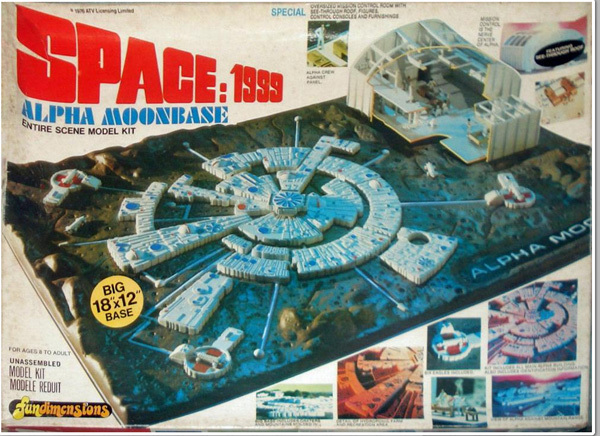 The 1970s original Moonbase Alpha model kit was inaccurate in many ways, not least of which was the scale of the landing pads. The problems are described in this blog entry from a while back. The main issue is that there are only 3 pads. 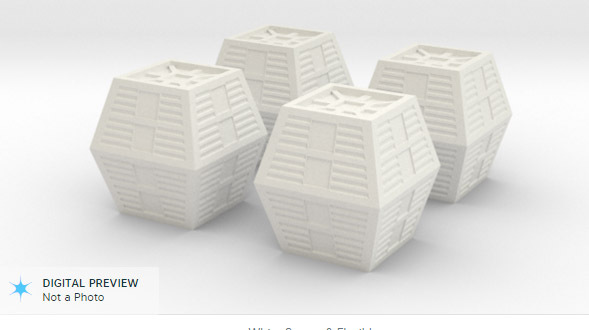 There are 5 surrounding Moonbase Alpha, and for those who want to make a more accurate version, you can purchase a version of the landing pad scaled to these original ones. I added a tiny bit of detail. The house now has a docking arm. 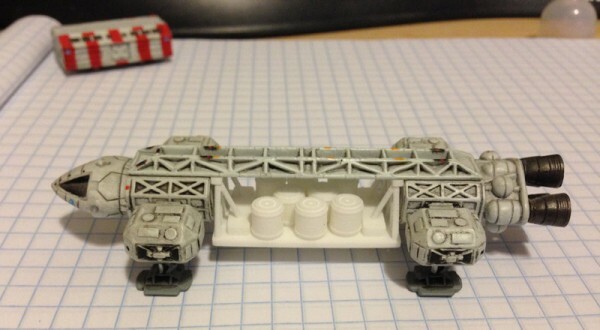 I made these in two scales – to match the original, oversized landing pads, and I made a version scaled accurately to the rest of the Moonbase model kit parts. 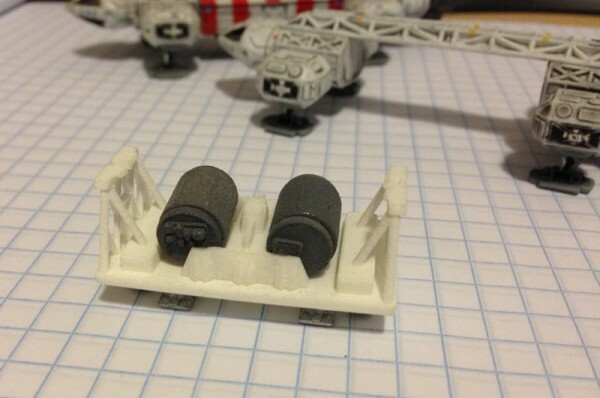 I scaled these to fit the Product Enterprise and 12″ Eagle Model Kits, but found the detail gets lost so I didn’t bother putting them up on Shapeways. Happy Valentine’s Day to My Lovely Wife! 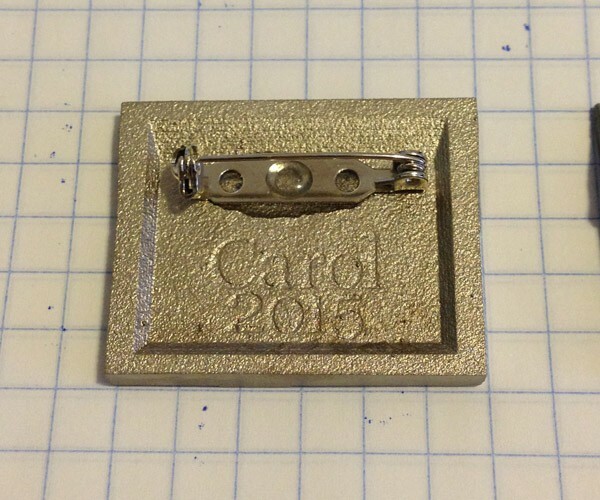 As posted here (and I have not posted since, to keep it “live” for a while) I gave Carol a 3D printed gift for our Silver Anniversary. 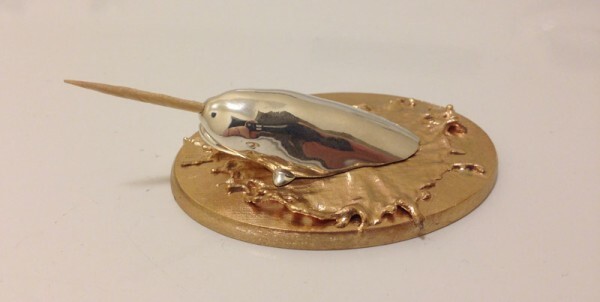 It was a Narwhal 3D printed in sterling silver, on a base of brass. So for Valentine’s Day I thought I would follow that up with something else she loves – our house. And brooches. She absolutely loves brooches and has a very nice collection. 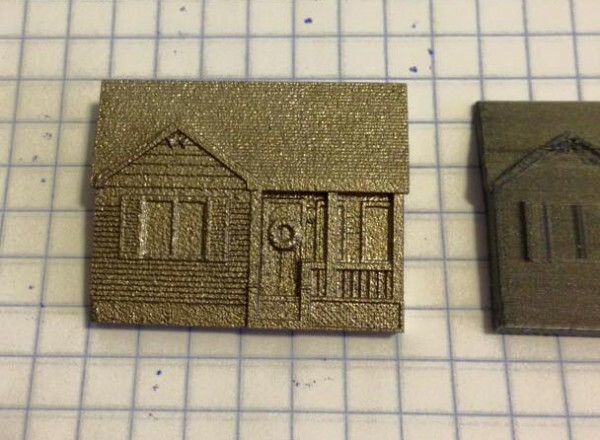 What better, then, than to 3D print her a brooch of my own design based on our house? First, I opted not to go with silver, because of cost. I thought a brooch might be better priced under $50. In sterling silver, it would have been more than double that. And I’m not discounting it for later. 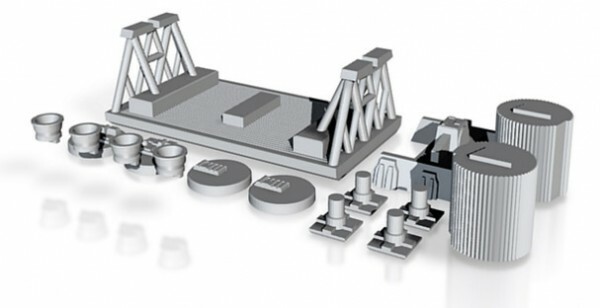 Or even Shapeways’s new material – aluminum, which, due to the printing method, is more expensive than stainless steel, which is what I went with. 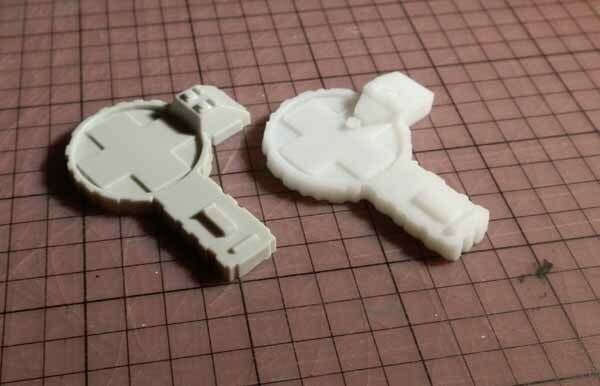 I had it printed in two different materials as a test. One in stainless steel, and one in nickel, thinking they would both be silver, but one shinier, and perhaps nicer, than the other. I got them back, and to my surprise, one was nearly gold in color. Since the house is grey, I wanted it in silver, so I focused on that one. 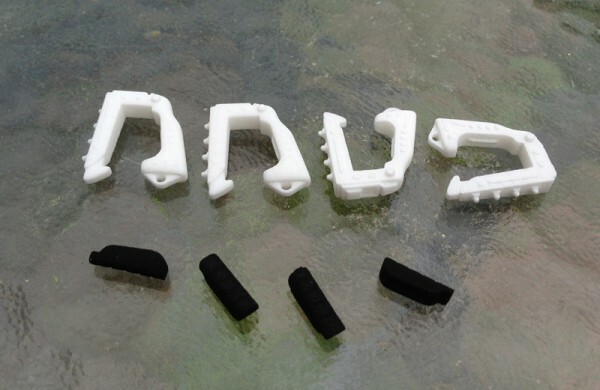 The middle one was printed in ABS plastic on my own Afinia H480 printer, as a test. I’m honestly not sure which brooch was which, but one is stainless steel and one polished nickel. So next I had to design a Valentine’s Day card to put it in. 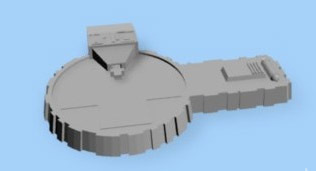 My concept was of a foam-core card with a rectangle cut out, and the brooch fitted into that rectangle tightly. 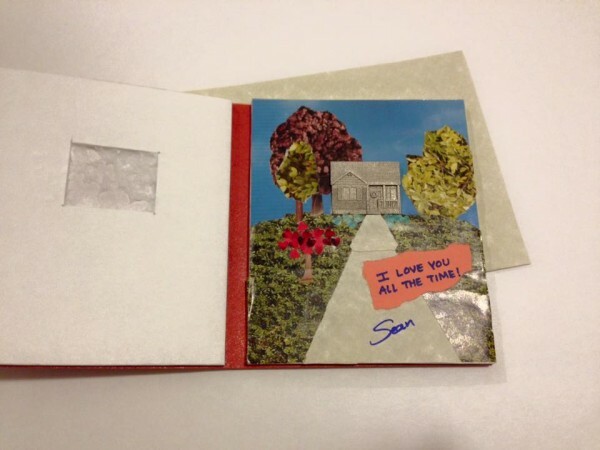 Then a collage of colored paper would be used to form a picture of our garden with the house planted firmly in the middle. I used a magazine and cut out various images to match grass, trees, and used a heart-shaped hole punch to cut out red paper for a small Japanese Maple I planted in the yard, and her beloved blue hydrangeas that line the front of the house. 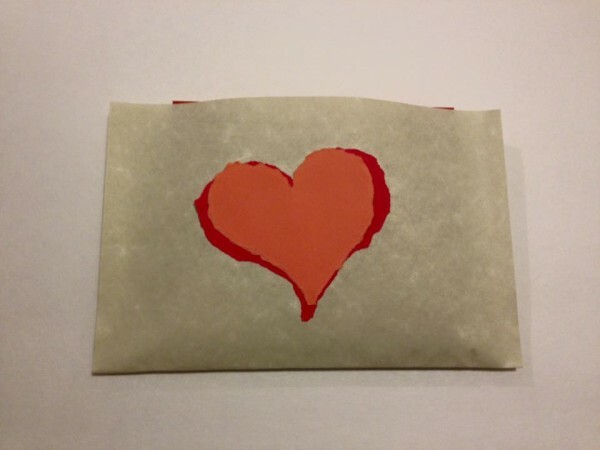 I put it in a parchment envelope I made simply, and used hand-torn red and pink paper to cut out hearts for both the envelope and the front of the card. 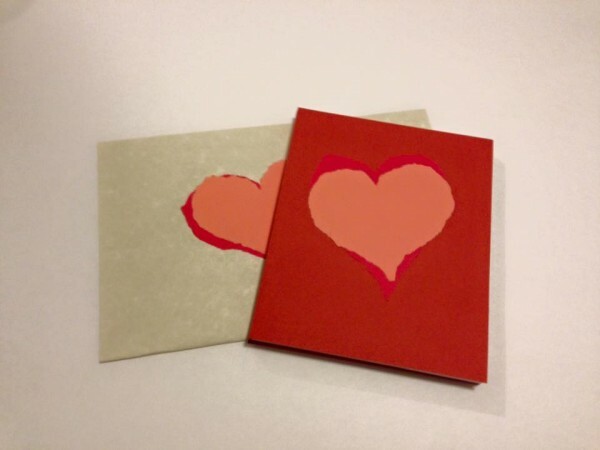 The card itself is two pieces of foam-core wrapped in a crimson-red sheet of paper, scored and folded along the seams, so it would open nicely, and that the two cut-outs would hold the pin in place. 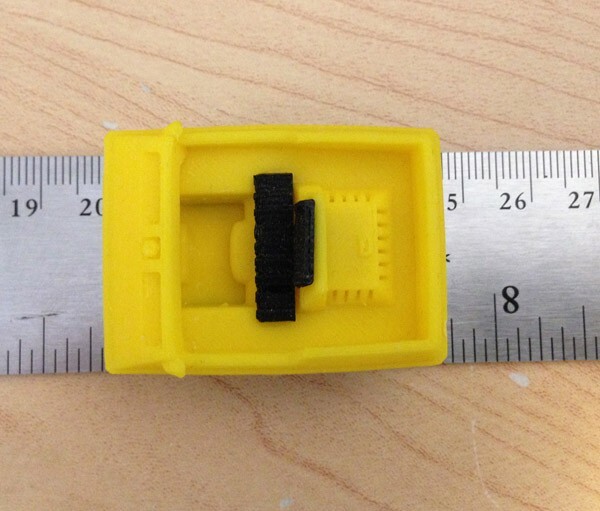 The pin, by the way, had no brooch pin attached during printing. That would have proven impossible. So I simply bought jewelry brooch pins from Michael’s Craft Store and used a binary epoxy to attach them to the backs. And try not to tell Carol I got the wrong year on it! I brought over the 2015 from the Narwhal base, and forgot to change it!!! Grrr. I then pinned the house brooch to a piece of corrugated cardboard and glued it to the card, holding it firmly in place.